It's stunning how dramatically the Fed’s perspective has shifted since the fourth quarter. There’s now a chorus of Fed governors and Federal Reserve Bank Presidents calling for the central bank to accommodate higher inflation. Watching the inflation data (March CPI up 1.9% y-o-y), it’s not readily apparent what has them in such a tizzy. And with crude prices surging 40% to start 2019, it takes some imagining to see deflationary pressures in the pipeline. Historical revisionism. For starters, the Asian crisis was in 1997. The Fed aggressively reduced rates from 5.50% to 4.75% in the Autumn of 1998 in response to the simultaneous Russia and Long-Term Capital Management (LTCM) collapses. Clearly many borrowers – and the system more generally - should have faced much tighter Credit Availability by late-1998 – certainly including those aggressively partaking in leveraged speculation (equities, fixed-income and derivatives) and debt gluttons in the real economy - including the highly levered telecom companies (i.e. WorldCom, Global Crossing, XO Communications and a long list) and others (i.e. Enron, Conseco, PG&E, etc.). Evans, not surprisingly, skips over LTCM. That the Fed orchestrated a bailout of this renowned hedge fund sent a very clear message that the Federal Reserve and global central banks were there to backstop the new financial infrastructure that was taking control of global finance (Wall Street firms, derivatives, the leveraged speculating community, Wall Street structured finance and securitizations). If the Fed had allowed the system take the harsh medicine in 1998 the world would be a much safer place today. Evans leaves out the near doubling of Nasdaq in 1999, along with what I refer to as “terminal phase” Bubble excess. The bottom line is the Fed aggressively loosened policy while the system was in the late-stage of a significant Bubble, and then failed to remove this accommodation until mid-November 1999. And let’s not forget that the subsequent bursting of the so-called “tech bubble” led to what was, at the time, unprecedented monetary stimulus – including Dr. Bernanke’s speeches extolling the virtues of the “government printing press” and “helicopter money.” These measures were instrumental in fueling the mortgage finance bubble that burst in 2008. That collapse then led to a decade-long – and ongoing - global experiment in zero rates, open-ended money-printing and yield curve manipulation. This whole fixation on deflation risk and CPI running (slightly) below target gets tiring - after a few decades. Clearly, the evolution to globalized market-based finance has profoundly altered the nature of inflation. CPI is no longer a paramount issue – especially with the proliferation of new technologies, the digitization of so much “output,” the move to services-based economies and, of course, globalization. There is today a virtual endless supply of goods and services – certainly including digital downloads, electronic devices and pharmaceuticals – that exert downward pressure on aggregate consumer prices. Importantly, consumer price indices are no longer a reliable indicator of price stability, general monetary stability or the appropriateness of central bank policies. Central bank officials today lack credibility when they direct so much attention to consumer price inflation while disregarding the overarching risks associated with unrelenting global debt growth, highly speculative and leveraged global financial markets, and deep global economic structural maladjustment. In the grand scheme of things, consumer prices running just below target seems rather trivial. What’s not trivial are central bankers that now appear to have accepted that they will accommodate financial excess and worsening structural impairment. At this point, it appears Full Capitulation. It’s simply difficult to believe such analysis resonates – yet it sure does. These are strange and dangerous times. Kocherlakota: “If your medicine chest is nearly empty, you want to keep your patient as healthy as possible.” Noland: If you’re running short of medicine, you better not encourage your patient to live a reckless lifestyle. You certainly don’t want to convince the foolhardy that you possess an elixir that will cure whatever ails them. These central bankers have really lost their minds: What they administer is anything but medicine. Such central bank crazy talk should have longer-term bonds beginning to sweat. But, then again, bond markets are confident that central bankers from across the globe will be buying plenty of bonds over the coming months and years. When central bankers talk about accommodating higher inflation, bonds hear “more QE”. And while safe haven bonds may not be overjoyed at the thought of CPI creeping higher, they remain more than fine with bubbling risk markets – prospective bursting Bubbles ensuring only more expansive QE programs. The so-called U-turn marked an inflection point from a meek attempt to return central banking to sounder principles - to a decisive breakdown in any semblance of responsible monetary management. IMAGINE TWO countries that differ only in the scale of public debt. In Vulgaria it is 50% of GDP; in Freedonia it is 5%. Vulgaria used the proceeds of its extra debt-raising to buy land for public parks. Because of these assets, it is regarded as being as good a credit risk as Freedonia. Taxes do not affect incentives to work or save in either place (they are a bit higher in Vulgaria). Inflation is low and stable. How should each country manage its debts? Specifically, how much should it raise by selling short-term bills, and how much by selling long-term bonds? A strain of public-finance theory, developed by Robert Barro of Harvard University, says it does not matter. Debt is deferred taxation. A dollar of debt will cut today’s tax bill by a dollar, but at the cost of raising it by a dollar tomorrow. If the debt is a one-year bond, the tax bill will come sooner. If it is a ten-year bond, it will come later. In this frictionless world the maturity of public debt is irrelevant. The real world is messier. 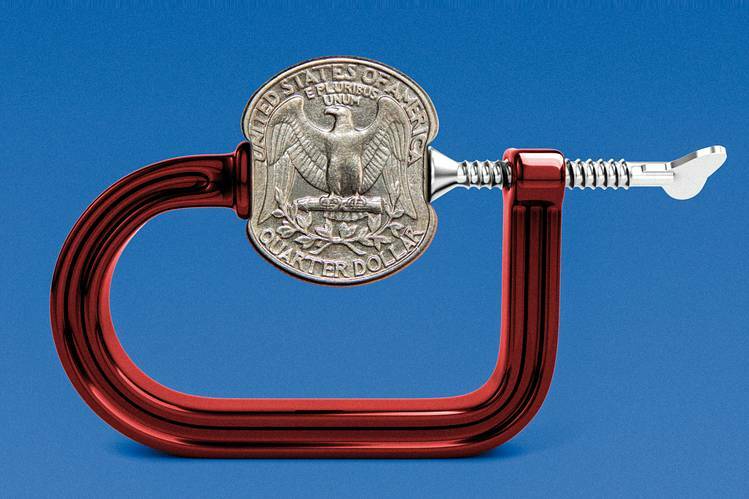 The economy fluctuates, and so do interest rates. Taxes affect how willing people are to work. In such conditions, the maturity of debt is a tug-of-war between two influences. The government wants to keep today’s taxes low: that pulls it towards short-term bonds, the cheapest to issue. But it is wary of sudden increases in interest rates: that pushes it to issue long-term bonds, to limit “rollover” risk when bonds come due. The balance of these forces decides debt maturity. Certainty matters more to high-debt countries like Vulgaria. Cost matters more to low-debt countries like Freedonia. The IMF’s “Fiscal Monitor”, a health check of public finances, shows lots of variation around the world (see chart). A tendency for high-debt countries to issue long-term bonds is nevertheless evident. In Europe, high-debt Belgium has an average debt maturity of ten years; in low-debt Sweden the average is less than five. Rollover risk is a bigger concern for emerging markets. 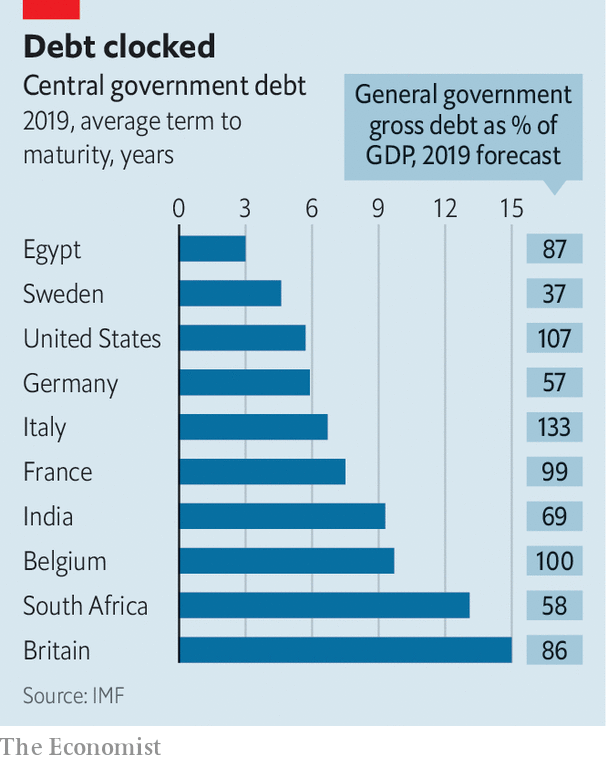 So although they have a lower debt-to-GDP ratio (the average is 53%) than rich countries do (104%), the average maturity of debt is similar, at around seven years. A big debt burden financed at short maturities can spell trouble (ask Egypt). Long-term debt might keep you out of it. South Africa’s debt is also high by emerging-market standards—and its stubborn budget deficit means that debt is rising quickly. Its economy is sluggish. A saving grace is that much of South Africa’s public debt is long-term. That buys the country time to address its problems. Still, the rule linking high debt to long maturity has many exceptions. America is one. Its debt-to-GDP ratio is above the rich-world average, but its debt maturity is towards the bottom of the scale. As a general rule bond-buyers prefer money-like securities, such as short-term bills, which is why they are cheaper to issue. By their nature, they are more liquid: they can be readily bought or sold. That makes them ideal collateral in transactions where each party fears the other might default. And because a lot of the world’s trade, derivatives and financing are in dollars, demand for America’s short-term debt is especially strong. That is why it can issue lots of it safely as well as cheaply. At the other end of the maturity spectrum, the big outlier is Britain. Despite a modest debt burden by rich-country standards, it has the longest term to maturity of any country in the IMF’s database. 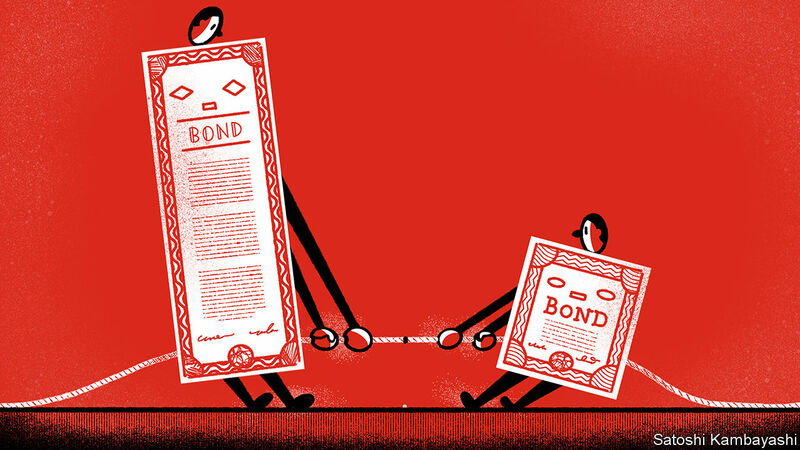 In contrast to America, it is long-term bonds that are prized in Britain—as outlined in a paper by Stéphane Guibaud, Yves Nosbusch and Dimitri Vayanos of the London School of Economics. Legislation in 2004 obliged pension funds in Britain to match their assets to the long-term promises they made to retirees. That spurred demand for long-dated bonds, driving down yields. Britain’s debt-management office responded by issuing lots more of them. This pension-fund effect is especially marked in Britain, but it is discernible in other countries, too. A recent study by Robin Greenwood of Harvard University and Annette Vissing-Jorgensen of the University of California, Berkeley, shows that countries with larger private pension systems are able to issue long-maturity bonds more cheaply. There are lessons for the hypothetical debt-managers of Vulgaria and Freedonia. Vulgaria might want to encourage a private pension system to stoke demand for long-term bonds. Freedonia might consider increasing its debt load a little to take advantage of the latent demand for money-like securities. It shouldn’t cost much. And the taxpayers of Freedonia might appreciate a public park. It isn’t how much you make but how much you keep. Most investors grasp that concept when it comes to their own finances, but they also need to consider how it applies to the companies they own. A long-term tailwind to stocks from expanding profit margins is at risk of flipping into reverse. Steady increases in margins have been the stock market’s secret sauce since the 1980s, allowing earnings to grow at a much faster clip than sales and pushing share prices higher as a result. 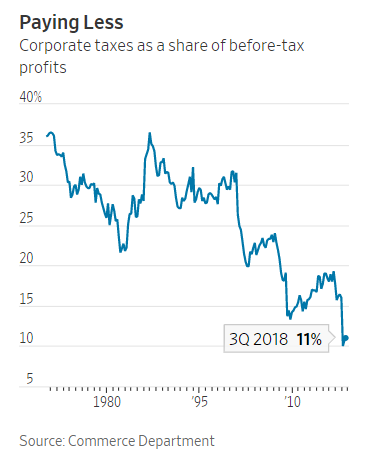 If profit margins were merely to return to their levels of 20 years ago, then earnings—and share prices—might be 40% lower than they are today. For the first time in over two years, corporate profit margins are falling. In a shifting economic and political environment, this may be only the beginning of a long slide. The S&P 500’s forecast first-quarter profit margin—or earnings as a share of sales—is 10.7%, according to FactSet. While down nearly a percentage point from a year earlier, that would, with the exception of 2018, still count as a record high. The decadeslong increase in profit margins was the result of many things going right at once, including a steady decline in labor costs, increases in global trade, lower taxes and gains in market share. Unfortunately for companies, each one of these trends seems at risk to at least partially reverse itself in the years ahead. Start with labor costs. One way to consider these is to look at the income earned by U.S. workers as a share of gross domestic income—a sum of all wages, profits and taxes the economy. This has been falling for decades, dropping to about 53% in the first three quarters of last year from about 58% in 1980 according to the Commerce Department. 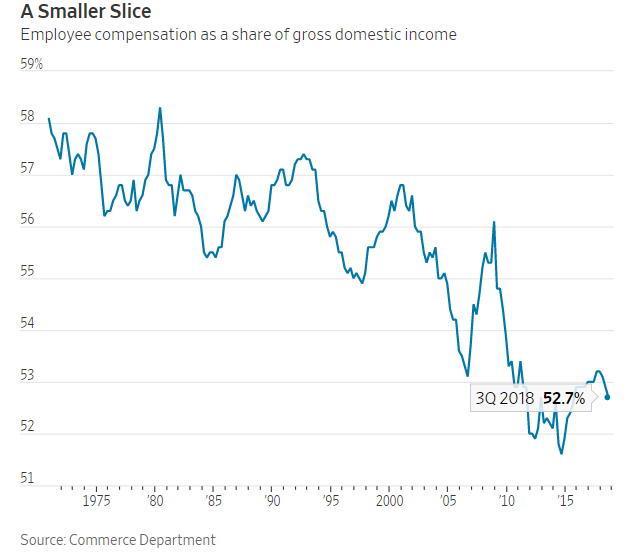 Among the reasons for this downtrend: a diminution of employees’ bargaining power as union membership declined and an expansion of global trade that allowed companies to shift production to countries where labor costs are cheaper—particularly China. Next, taxes. Last year’s tax cut was just the most recent in a series of actions that have dramatically lowered companies’ tax bill. 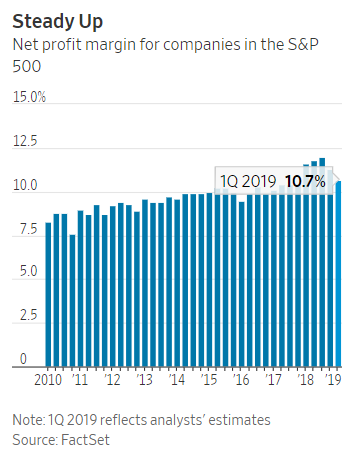 Taxes came to about 11% of before-tax U.S. corporate profits in the first three quarters of last year, according to the Commerce Department. In 2000, the tax share was about 32%. Additionally, U.S. multinationals appear to have steadily shifted more of their domestic profits to tax havens such as the Cayman Islands since the 1990s, effectively reducing their tax rates by even more than the Commerce Department data show. Big companies, like those in the S&P 500, also have gained market share. This hasn’t only given them a larger share of the profit pie, but it’s also allowed them to reduce costs through greater scale. It also has reduced competition for labor, some economists argue, adding to big companies’ power to set wages. As of 2016—the most recent year with available data—about 47% of U.S. workers were employed at firms with 1,000 or more employees. That compared with about 42% in 1996. But all of these trends—the reduction in labor’s share of the economy, the decline in corporate taxes and big companies’ amassing of increased market share—seem unlikely to persist. Worries about inequality are on the rise and, with Democrats vying for their party’s 2020 presidential nomination viewing it as a hot-button issue, proposals to combat it through higher taxes and other redistributive policies are gathering momentum. Meanwhile, the U.S. trade fight with China and the fact that Chinese wages have steadily risen may give U.S. multinationals second thoughts about shifting more production abroad. Criticism of large companies’ power has risen, too. As part of his beef with Amazon.com Chief Executive Jeff Bezos, President Donald Trump has argued that the giant internet retailer’s business practices are unfair. Massachusetts senator and presidential hopeful Elizabeth Warren earlier this month proposed breaking up Google, Amazon.com and Facebook . At the very least, this is an environment in which companies will struggle to squeeze out much more from these favorable trends. It seems unlikely workers’ income share will continue to decline. Corporate taxes probably aren’t heading even lower. The forces of globalization that helped bolster earnings are on the wane. Profits will come under pressure if companies can’t enjoy the marginal benefits of these trends. Climbing margins have given investors a sweet ride. The downhill portion could be bumpy and highly unpleasant. When Barack Obama launched his White House bid 12 years ago, he already had a library of well-crafted policies. Some were bold. Others were small-bore. Behind each position was a bench of experts. The same went for John McCain, Hillary Clinton, John Edwards, Mitt Romney and other 2008 contenders. Now we could be living in a different century. With the exception of Elizabeth Warren, whose campaign has yet to catch fire, today’s Democratic aspirants are content with a brassy slogan. Policy wonks might as well join the Mississippi gopher frog on the endangered species list. The shift has little to do with ideology. Moderate Democrats, such as Beto O’Rourke, are as allergic to detail as are their rivals on the left. What marks the field out is comfort with post-literate politics. Who can blame them? Donald Trump has altered what it means to run for high office. No White House contender ever came near his blend of fantasy and falsehood. He won all the same. He may well do so again. The least bad thing you could say about Mr Trump’s fabulism is that he paid no price for it. But the truth is uglier: it may well have brought him victory. Little wonder the habit is spreading. It was only a few months ago that Mr Trump dropped his magical claim that Mexico would pay for the border wall. There is little sign that voters who believed Mr Trump in 2016 hold him to account for failing to shake down America’s southern neighbour. Quite the reverse. They blame Democrats for keeping the US taxpayer off the hook. Good intentions are a weak differentiator. The left may prefer white magic to Mr Trump’s black. But everyone is dabbling. Even the scholarly Ms Warren is not immune. Her latest vow is to scrap the electoral college. If America were to begin anew, few people would devise such a byzantine system. Rather than pander to the small populations of Iowa and New Hampshire, candidates would pitch to the whole nation. Unlike in 2016 and 2000, the verdict would always reflect the popular vote. Alas, amending the US constitution is a pipe dream. Ratification requires two-thirds of each chamber of Congress and three-quarters of US states. There is no reason to think the smaller states would agree to their demotion. So why does Ms Warren talk this way? The grander the promise, the likelier it is to go viral. In 2008, Facebook, Twitter and YouTube were not yet large enough to dominate the agenda. Most Americans still got their news from television. Today, social media is the news. The starker your claim, the stronger the feedback loop. Facebook’s algorithm rewards magical thinking. The Democratic variety comes in two forms. The first is the Oprah Winfrey school of positive thinking. The second is from Merlin’s bag of financial wizardry. Some of their magic overlaps. Both Bernie Sanders (Merlin), the socialist in the race, and Mr O’Rourke (Oprah), who is centrist, want to talk about reparations for slavery. Common sense would ask why America should only now compensate descendants of a system abolished more than 150 years ago. Would reparations only be for blacks who descended from slaves? How would descendants of more recent Irish and Italian immigrants feel about their ancestral culpability? What about Asian-Americans? Even to pose such questions underlines their explosiveness. But airy talk is as far as it is likely to go. Any nominee who beat Mr Trump and took the White House would quickly drop the idea. Reparations are as likely to heal America’s wounds as Mr Trump. On other questions, the schools of magic diverge. Oprah Democrats talk of America’s better angels. Should Joe Biden enter the race, he would join Mr O’Rourke, Cory Booker and Amy Klobuchar on that side. US politics has a soft spot for Kumbaya. But in today’s context, lofty sweet talk is misleading. Should he lose, Mr Trump will not retire quietly. The Merlin camp is less forgiving. Its magic is in the numbers. Mr Sanders comes close to promising money for nothing. Free college, healthcare and stronger social insurance are important goals. But there are not enough rich people to pay for them. Imitating Denmark would have to extend to its middle class tax rates. Which leaves Ms Warren. My bet is that she would win a ballot of policy analysts. But they have always been thin on the ground. During his doomed 1956 White House bid, Adlai Stevenson, the professorial Democrat, is said to have been reassured that all thinking Americans were behind him. Yes, he replied, but I need a majority. Chinese economic growth is holding up surprisingly well, driven by a bump in retail sales and industrial output. But Beijing’s recent stimulus is filtering into real estate, damaging the country’s long-term prospects. First-quarter economic data show property investment again playing a major role as a driver of growth. It rose by 11.8% in the first three months of the year, the largest year-over-year gain in more than four years, easily outstripping the 6.4% increase in gross domestic product. The rise in investment wasn’t as rapid as in earlier years, when growth of 20% or more was common, but the sector has grown far larger, so the expansion comes from a higher base. Property has become an albatross around the neck of economic policy makers. Beijing is understandably uneasy about clamping down: housing is the main savings vehicle for the Chinese middle class and is vital to the health of the economy, so prices cannot be allowed to decline. But pouring an ever-greater share of resources into the sector will drag on China’s long-term potential. Last September, research by International Monetary Fund economist Yu Shi pointed to the extent of the problem. Encouraged by the property boom, productive manufacturing firms increasingly shifted resources to the profitable real-estate sector, shaving 0.5 percentage point off productivity growth a year. 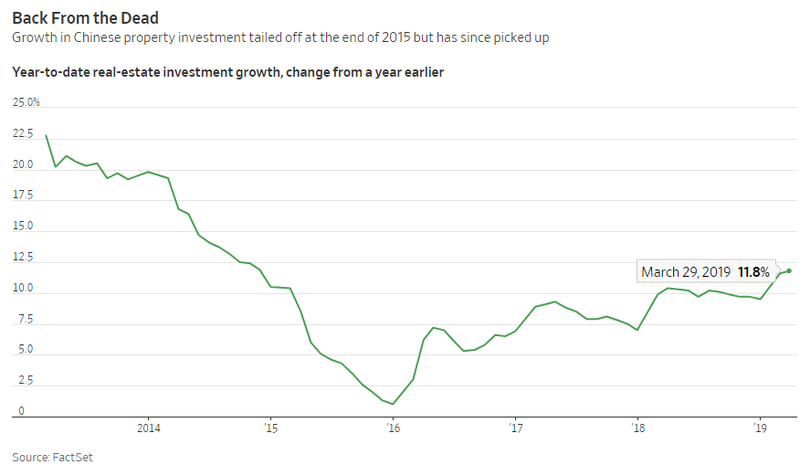 Even investors without a particular interest in the country would be wise to keep an eye on what’s happening in Chinese property: as the world’s largest trading economy, what happens in China rarely stays at home for long.